With Thanksgiving behind us and the flurry of Christmas activity upon us, it’s not unusual for thankfulness to fade from our attention. But the focus on gratefulness doesn’t have to be short-lived. By cultivating an everyday gratitude mindset, you refine and redefine your outlook, not just in November, but throughout the year. An attitude of gratitude doesn’t just happen. Our natural bent is often towards finding fault, seeing imperfections, and observing people or things that annoy or displease us. But if you allow it, focusing on gratitude molds, shapes, and moves you forward. Gratitude changes your perspective – More often than not, news reports are negative. You hear and see reports of bombings, murders, riots, other forms of violence, and inappropriate words and actions. It often seems as if journalists are lurking, waiting for the slightest misstep or comment that can be misconstrued and twisted to have a double meaning. When you are subjected to this type of reporting, over time, your see the worst in people and situations. It takes effort and persistence to shift your focus from negative to positive. Instead of seeing the worst, look for the best. Develop a heightened awareness of blessings, of things and people who are a blessing to you and ways you can bless others. And don’t overlook the simple blessings in life. Recognize them and give thanks. Gratitude diminishes self-pity – All of us experience difficult seasons in life. You may be dealing with on-going health issues, financial instability, significant relationship struggles, or other situations that make it easy to slip into a focus on self and an attitude of self-pity. Looking for and enumerating things you’re grateful for diminishes feelings of self-pity. Gratitude improves relationships – As previously mentioned, often we tend to zero in on habits or personality traits in others that annoy us, and sometimes we’re quick to point those out. Instead, look for the good in others and what you are grateful for in your relationships. Gratitude enhances empathy and helps you overlook hurts and wrongs. Gratitude moves you forward – Ingratitude tends to hold us captive. I routinely see social media posts from certain individuals that are always negative—a criticism of government officials, faith leaders, or situations beyond anyone’s control. If the only thing you have to say is critical and negative, you are captive in a prison of your own making. 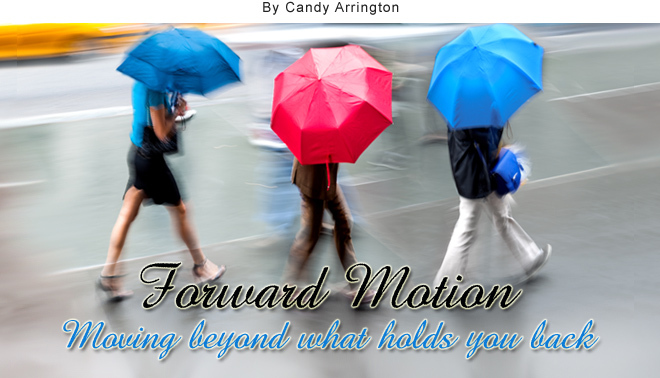 Gratitude facilitates forward motion. It allows you to move beyond people or things that displease you and look with hope toward tomorrow. Gratitude makes you more aware of God’s love and provision – So often, we pat ourselves on the back and brag about our accomplishments. But only a fool believes God is not alive, caring, gracious, merciful, and active in our world and our lives. Acknowledging God as creator, provider, and sustainer, and offering Him your gratitude, results in wisdom, understanding, and greater blessings. 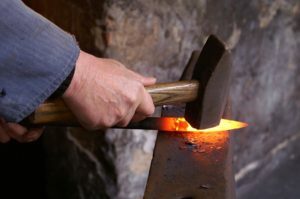 Just as the refining of precious metals takes time, refining your mindset toward blessings and gratitude is also a process, but one worth pursuing. By cultivating an everyday gratitude mindset, you refine and redefine your outlook.